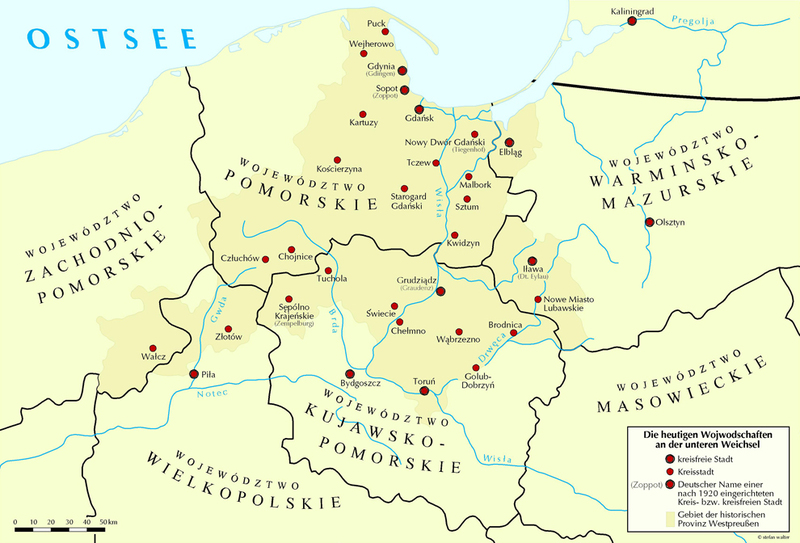 “West Prussia” is generally identified as the region of the lower course of the Vistula River, extending from Thorn in the South through to Gdańsk on the Baltic Sea. 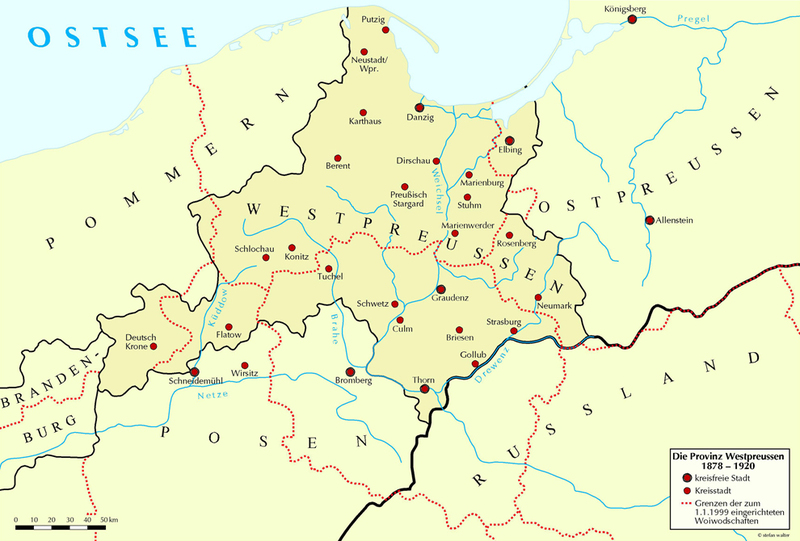 With some interruptions, West Prussia was a Prussian province from 1772 until 1920. The region’s early history encompasses the reign of the Teutonic Order, which occupied the area from 1231, introduced Christianity and was key to its cultural development. In addition, the Lower Vistula region was associated with the Polish Crown as “Prusy Królewskie” (Royal Prussia) for a period of some 300 years from 1454. For a long time, Germans and Poles mostly lived together peacefully in this region. It wasn’t until the end of the nineteenth century that the region became the setting for ethnic and national-political conflicts that ultimately led to the exodus and systematic expulsion of the German population – as a consequence of the National-Socialist war of annihilation. Since this time, the region has become a part of the Republic of Poland, and the previously self-contained province now belongs to five different voivodeships (as the local administrative divisions at the highest level of territorial structuring are called in Poland). 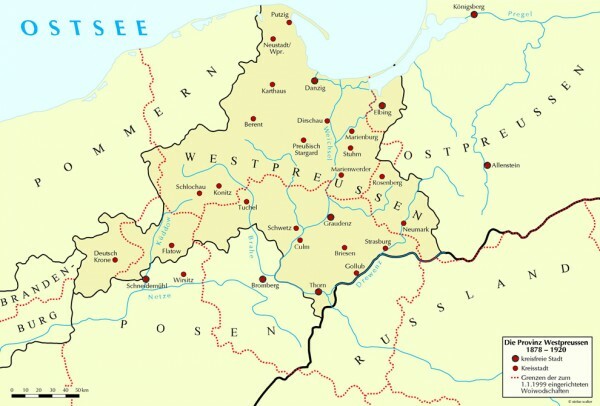 “West Prussia” is now an important site of memory for the history and culture of the former Eastern Germany. In the process of exploring their own region, today’s Polish inhabitants are once again following up the traces of historical West Prussia: Forms of common remembrance are growing from a divided history, irrespective of borders. The Westpreußisches Landesmuseum hopes to make a significant contribution to this process.